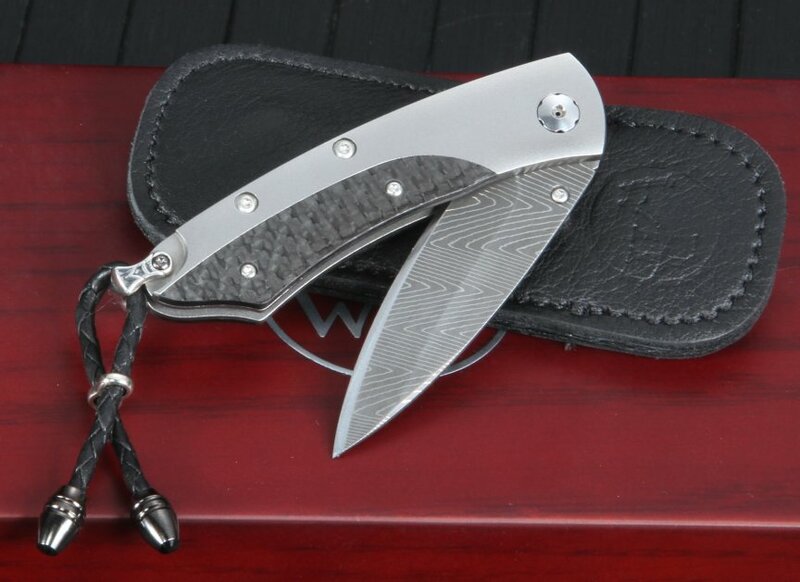 COMMENTS: The B04 Savile makes a great daily carry folding knife. 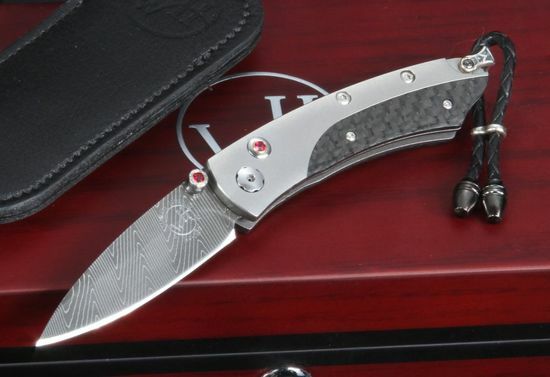 It is light and extremely strong because of it's integral titanium handle. 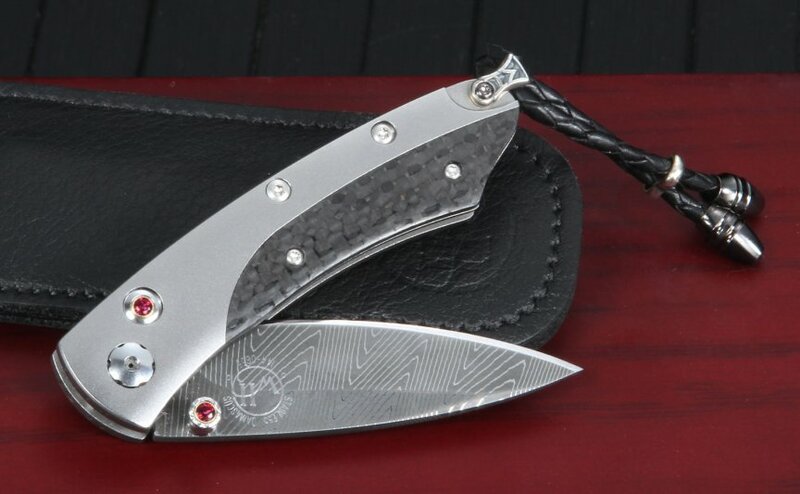 The blade is razor sharp herring bone pattern damascus by Rob Thomas. The thumb stud and the button lock are inlaid with matching blazing red topaz. Sterling silver lanyard bale with a braided leather lanyard. The individually numbered knife comes with a Certificate of Authenticity and wood presentation box. Limited edition of 50 numbered knives.